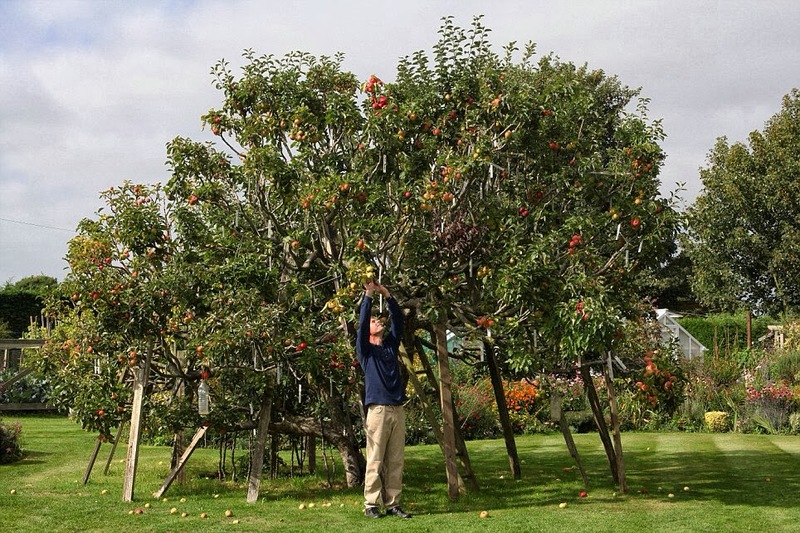 British horticulturist Paul Barnett has spent the last 24 years cultivating a total of 250 varieties of apples in his back garden in Chidham, West Sussex. 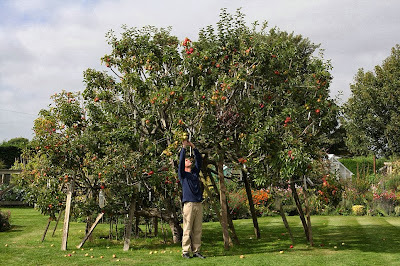 Inspired by the nursery where he worked, he decided to grow dozens of varieties of eating, cooking, and cider apples, including Granny Smith, Golden Delicious, Brownlees Russet, Wadhurst Pippin, Winter Gem, and historical varieties like Withington Fillbasket (1883) and Eady’s Magnum (1908). But because he didn't have the space to grow them in rows, he simply added branches to his existing tree (IMAGE ABOVE), which now stands 6 m (20') tall and requires support (and a label for each branch!). Barnett explains, "I wanted to grow my own trees but I didn’t have the area to plant that number so I started a 'family tree' where I can have all the different varieties in a smaller amount of space. I add to it each year by budding in the summer and grafting in the winter."